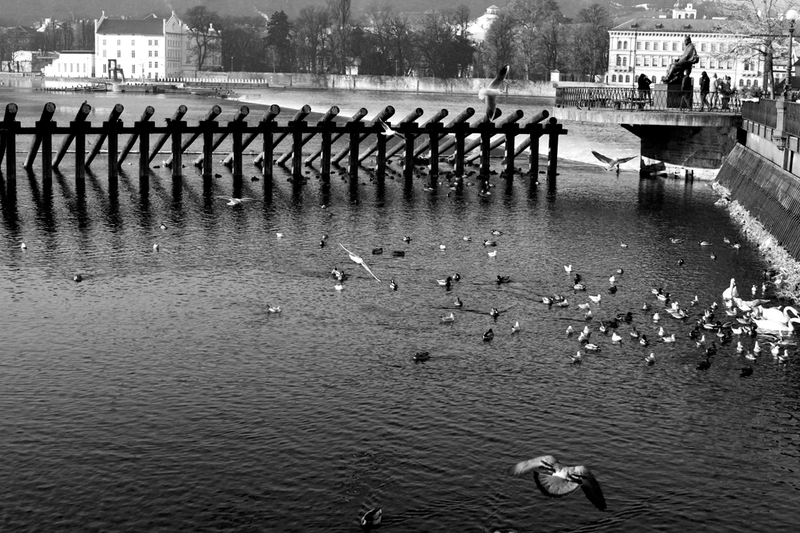 Ok we get that Berlin in itself has so much to offer and being here a week alone wouldn’t cover even a tenth of that, but if you live here, are on a longer holiday or are a travelling, we would highly recommend a trip to Prague. Not only is it just a 3.5 hour drive from Berlin (you can also get a train) but it is also one of the most beautiful cities we have seen in Europe. 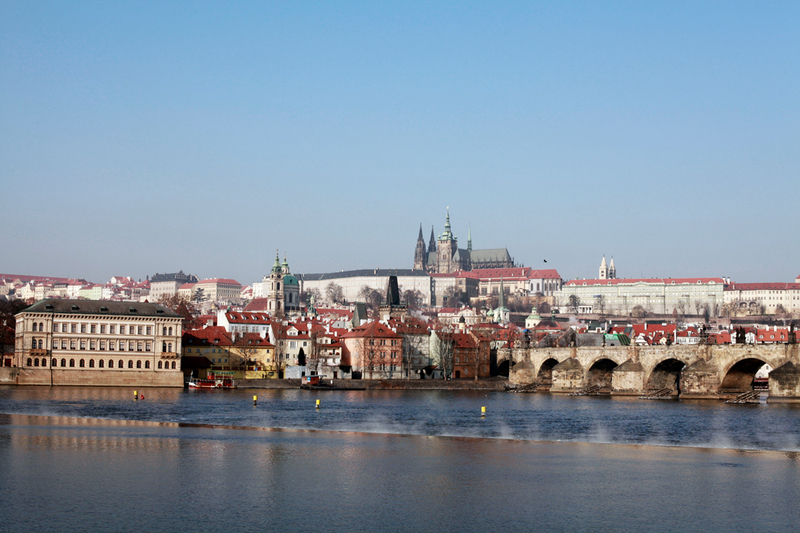 With it’s small gothic streets, old buildings, and beautiful landmarks Prague is absolutely worth a visit. We stayed at the Hotel U Zlatého jelena which is in the Old town of Prague, central to everything. It only costs Euro 58 a night, this included breakfast, for a suite size room with a Jacuzzi bath (other rooms available for less). 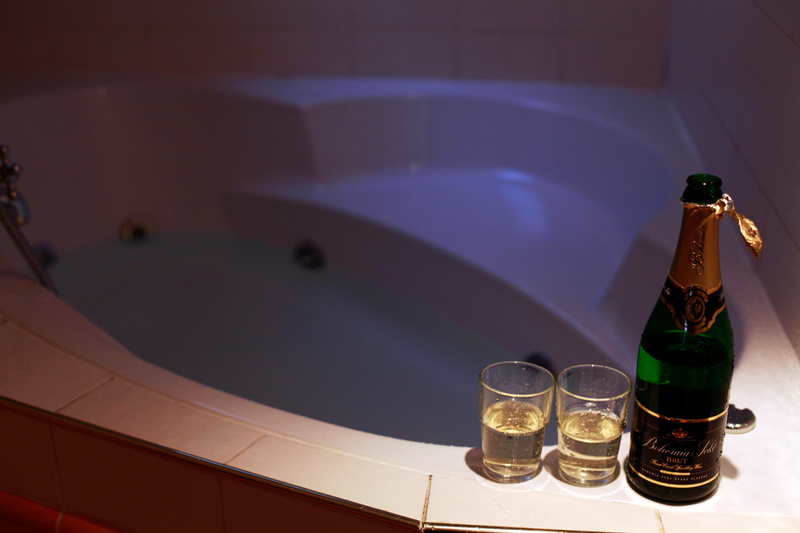 The staff are more than helpful, the room consists of one room with two single beds a tv and a large window,a room with a large double, glass table and large window bed a small room with wardrobe, desk and minibar (drinks not included in the price) and bathroom, with twin sinks, and a jacuzzi bath. 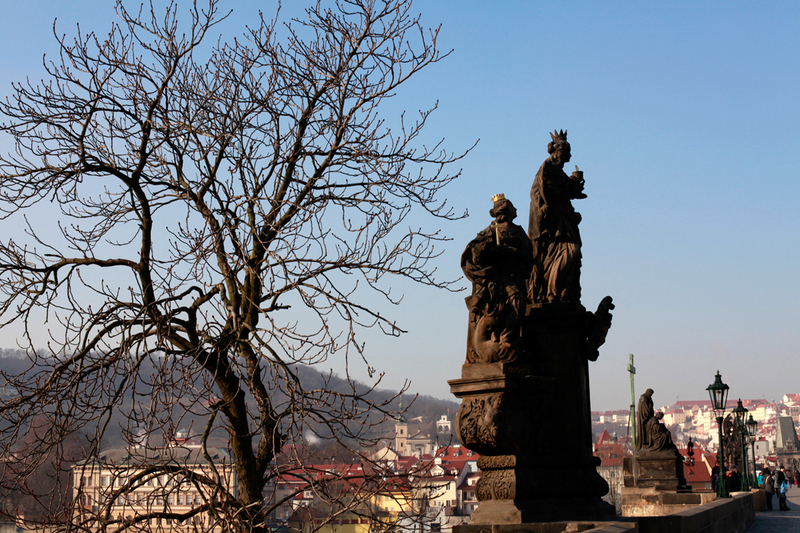 There are many ways to spend the day in Prague, from various tours and excursions, galleries, museums, theater, cafes , to restaurants and bars. 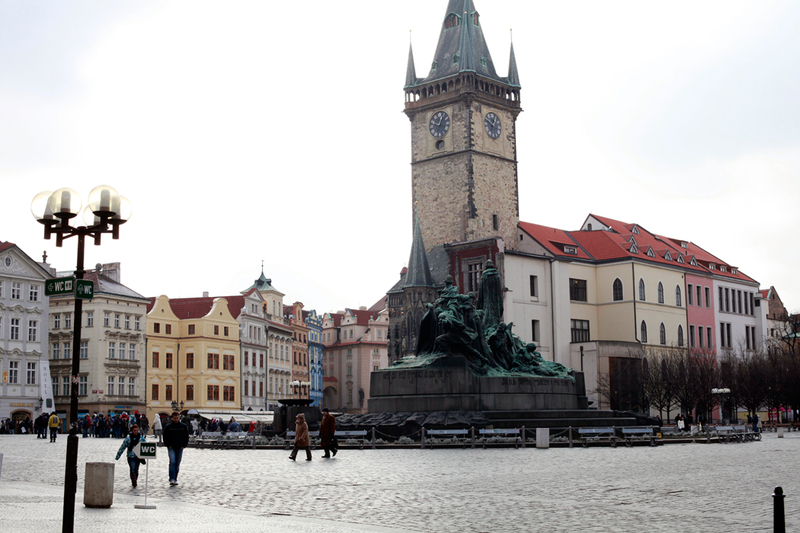 But, since it was – 23 C while we were there, we choose to focus on the cafe and bar life in Prague. There are so many old style decadent cafes to choose from that we were spoilt for choice, and ended up going to about 3 a day! Some of our favorites included Cafe Imperial, which belongs to the Hotel Imperial and, as the name suggest, is very grand. The interior, apart from the plush furnishings obviously, is made nearly all from porcelain (which Prague is famous for) , the staff are very attentive, and they do a mean hearty breakfast , fresh juices and home baked cakes and pastries. 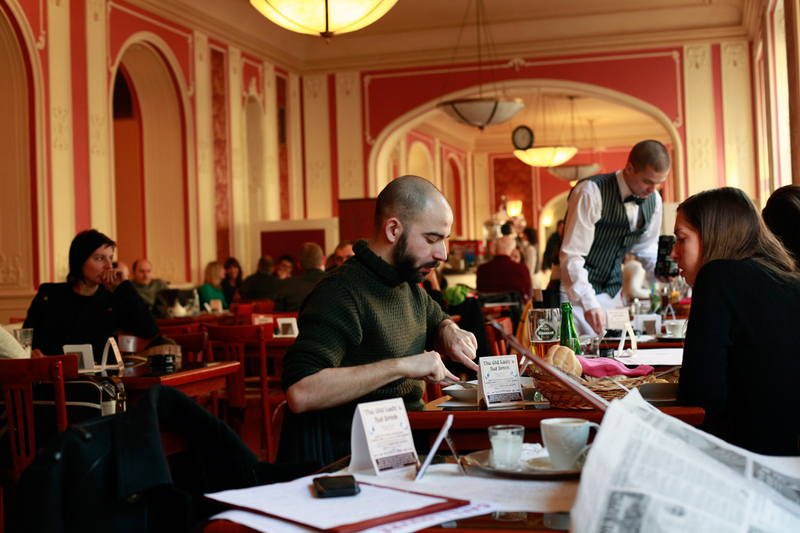 We also recommend Cafe Louvre which is over a hundred years old, once called Franz Kafka and Albert Einstein regulars. Cafe Louvre is like going back in time to the 1920’s; tables are filled with writers, artists and people enjoying an afternoon reading the paper , all eating, drinking, chatting and smoking til their hearts are content (non-smoking sections also). Yes Prague is one of the few cities left , where you are actually still allowed to smoke in most places. This might put a lot of people off and yes, you may regard it as a filthy habit, but what can replicate the atmosphere that only a smoke filled cafe can create. The Louvre serves hearty eastern food such as goulash and spatzle, however, it also serves tea, cakes, breakfast and booze. 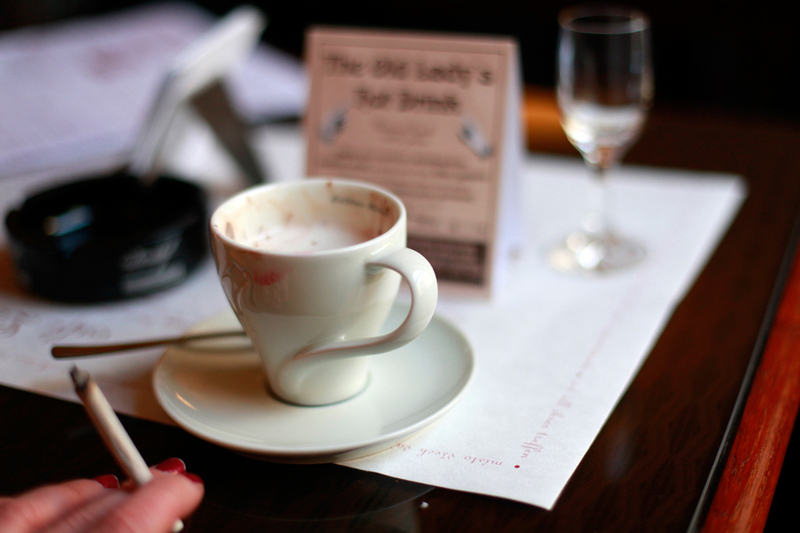 My personal tip is to try the hot chocolate when you are there, it is to die for! It is the best I have ever tasted and more like a pudding than a drink. Last but not least, one of our other favourites was the Grand Cafe Orient, its Mahogany and racing green furnishings, complete with brass light fittings, creates a soothing sense of bygone grandure. Cafe orient serves delicious breakfasts, salads, light lunches,cakes, coffee and booze, no better way to brace yourself for an afternoon of exploration in arctic conditions then with a post lunch Absinth! 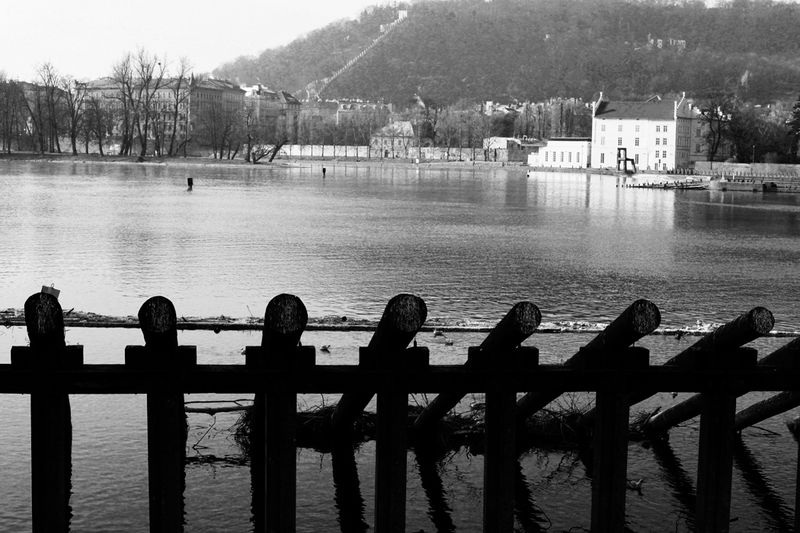 Come on, when in Prague…! We tried it, and it made the rest of the day even more dreamy than it already had been. Check out the Museum of Modern Art. 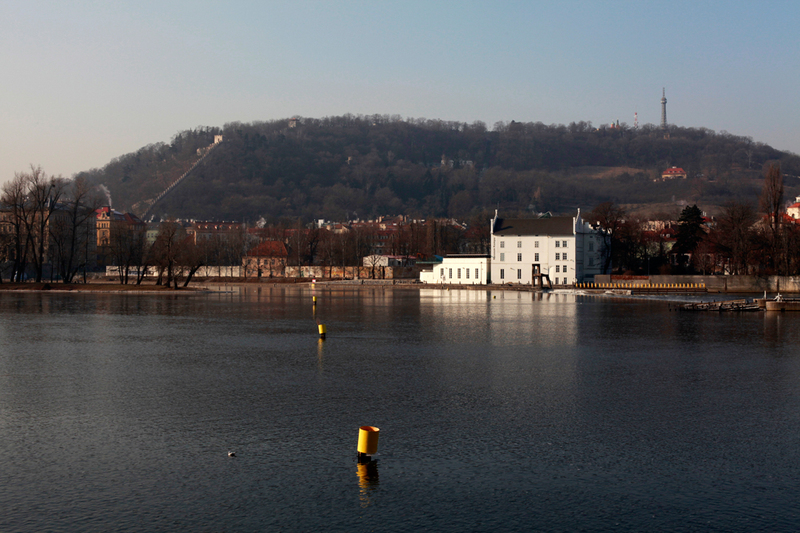 The permanent exhibition of 20th and 21st century art, on three floors of Veletržní palác, acquaints visitors with the development of Czech and foreign fine art during the course of the last two centuries. 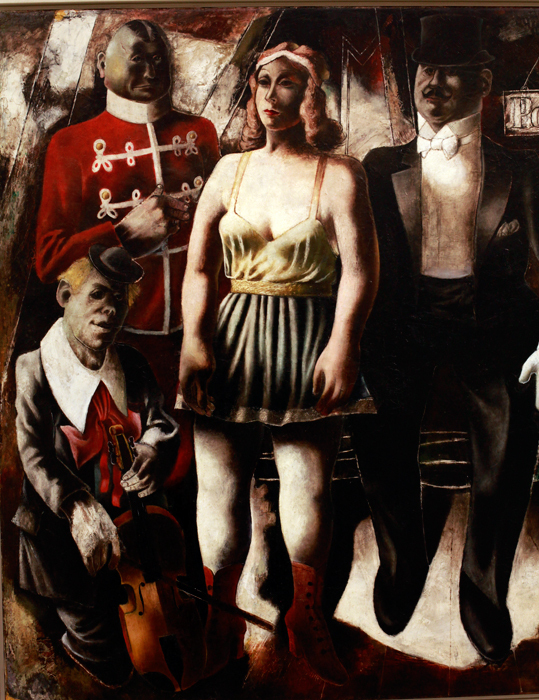 Well worth a look for any art lover. 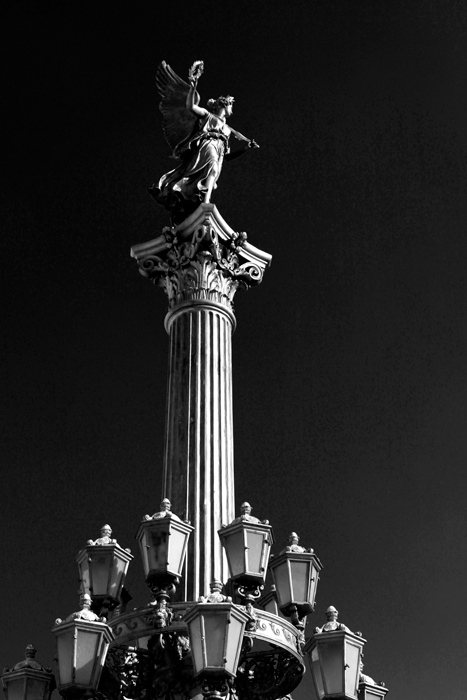 Prague is famous for it’s marionettes and puppets . 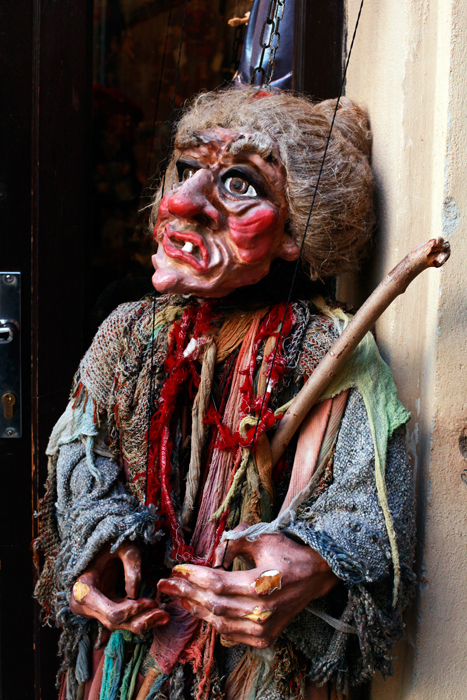 The art of Czech marionette and puppet making goes back to the 18th century. Through the rapid expansion of the tourist trade, puppets have become more and more commercial (you can get everything from famous football star puppets to Disney characters), however the traditional puppets were meant to be scary, and they can be fairly creepy. 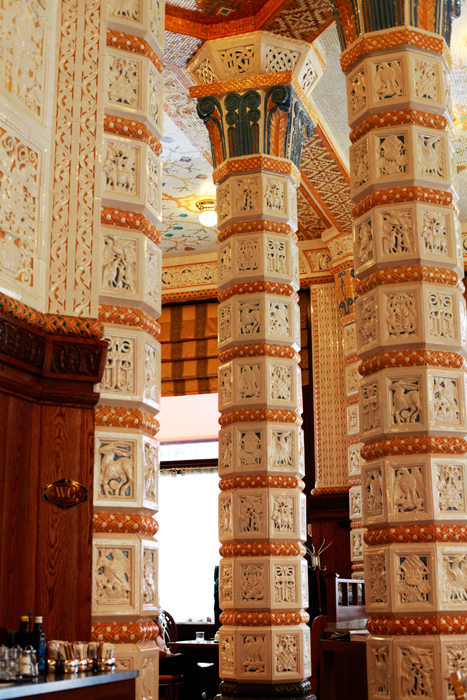 They are carved from wood or made from plaster. 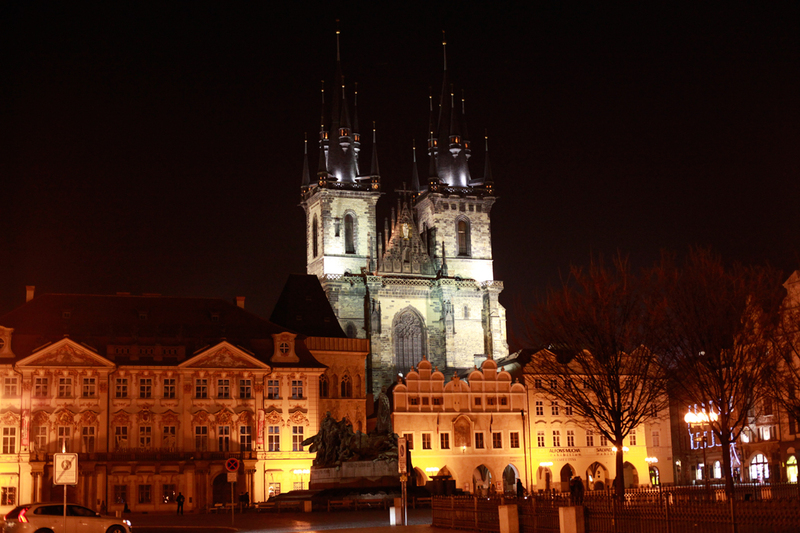 There are many Bars to discover in Prague, some better than others and, of course, there are the obligatory tourist traps. We managed to find a small bar called ‘Hany Bany‘ , the name was inspired by Pulp Ficiton’s ‘Honey Bunny‘, and so was the decor. It is far from the being tourist trap, filled with young locals, yet situated only a couple of dtreets from the Old Town Square. The atmosphere was fantastic, lively and jovial, whilst the booze and pub food were delicious, and, unbelievably cheap! Pub food for two, 3 draught Leffe, 3 large draught Hoegarden, 2 Cocktails, and four 4cl Absinth, only 32 Euro, UNBLOODYBELIEVEABLE!! 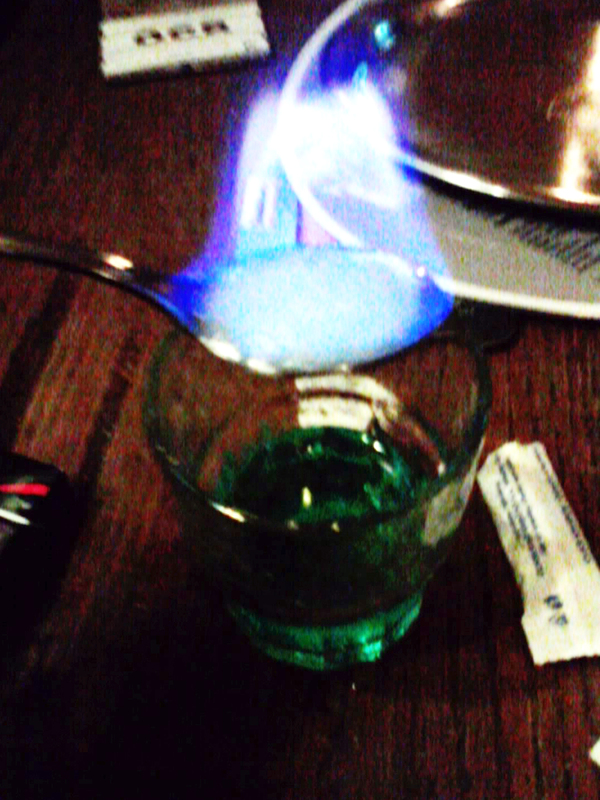 The Absinthe Fairy is on her way! We even found shops selling ‘Duff’ beer‘, how cool is that! 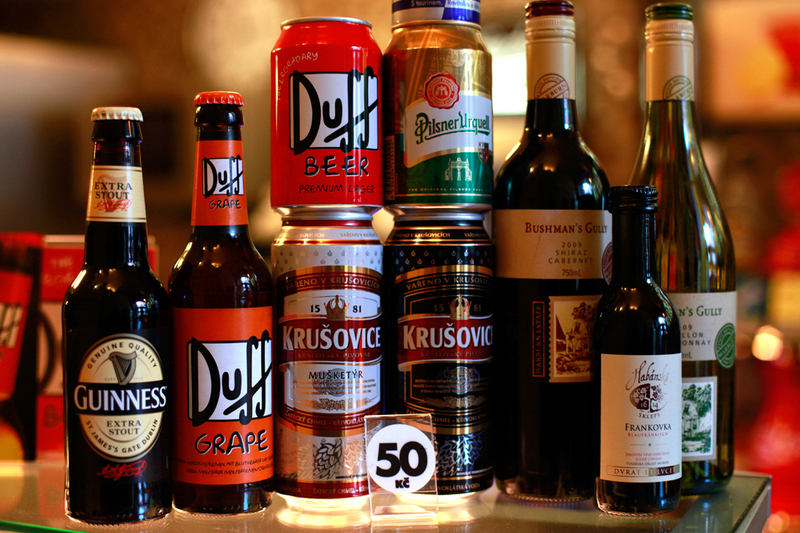 But don’t forget Prague is known for it’s many beer distilleries, so even though Duff beer is a great gimmick, don’t forget to try the local brew too! 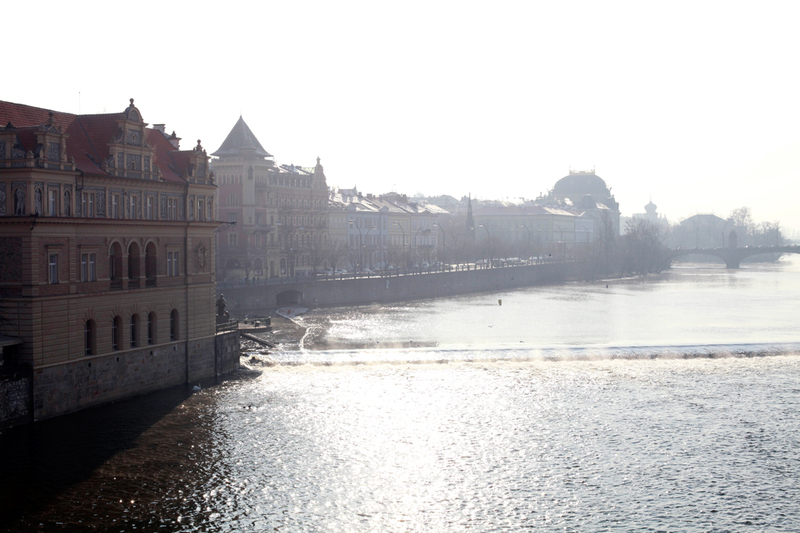 Apart from all the bars and cafe’s, Prague is just so picturesque and vibrant, that if you can bare the cold in the winter months, just walking around and soaking up the scenery is one of the main things you should do whilst there. So all in all Prague was amazing and we highly recommend a trip. 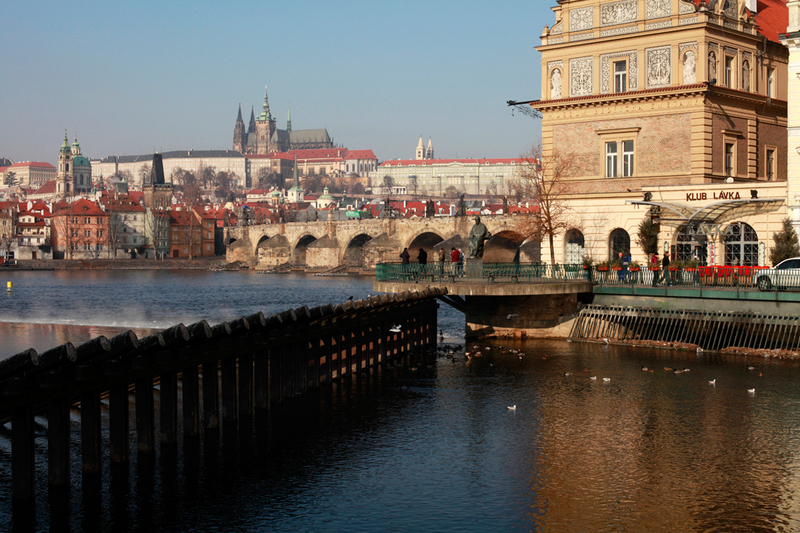 We will most definitely be back this summer, to see what a warm Prague has to offer!